Bowfishing is an ancient fishing method that has continued to advance over the years with high-quality fishing gear. 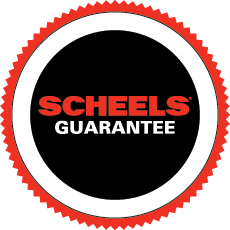 With a wide variety of leading brands, specializing in cutting-edge bows, arrows, reels and related supplies, SCHEELS will become your bowfishing headquarters. Purchase top-quality reels, bows and arrows separately, or find these products in a kit, so your ready to hit the water. Whether you’re new to bowfishing or an expert, aim by line of sight with a variety of lightweight designs suitable for wading into salt or freshwater. Freshwater species frequently pursued, include bighead carp, paddlefish, common carp and grass carp. If you’re searching for a particular bow, use our specific filter options to purchase online, then pick up in store at you nearest SCHEELS location.